A rise in energy prices in January helped push the eurozone’s inflation to 1.8 per cent, the 19-nation bloc’s statistics office said on Tuesday. It was 1.1 per cent in December, and just 0.6 per cent the month before, Eurostat said. 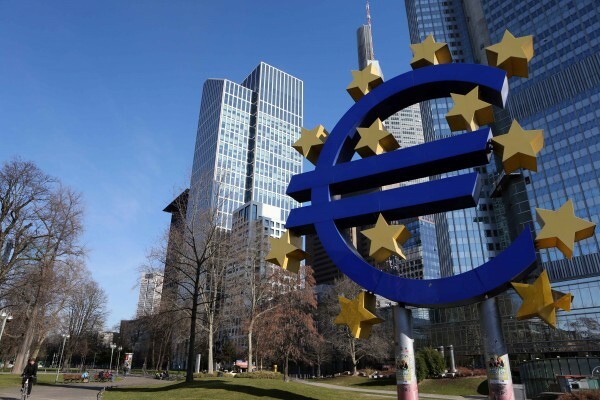 Inflation has become a worry for the European Central Bank (ECB). In Germany, for example, the inflation rate rose from 0.4 per cent in July to 1.7 per cent in December and 1.9 per cent in January. It may be a case of too much success, too fast. The ECB last year began its bond-purchasing stimulus quantitative easing program to help pull the eurozone out of deflation and recession, keep interest rates low to increase borrowing, reduce unemployment, and raise the inflation rate from -0.1 (deflation) per cent to the desired two per cent. As the eurozone began to show signs it was emerging from recession, the ECB decided in December to “trim” the cost of its bond buying by 20 billion euros starting April 2017, bringing it down to 60 billion euros a month. But now that the inflation rate is nearing two per cent, and unemployment has fallen from 10.5 per cent in 2015 to 9.6 per cent this past December, there is pressure on the ECB to modify its policies. Eurostat also said that eurozone economic growth was 0.5 in December, up from 0.4 in November. The ECB is unlikely to change policy any time soon. The stimulus program was meant to end in March 2017, but was extended to September. It may point to the core inflation rate – that which is measured without including volatile food and energy prices – remaining stable at 0.9 per cent and say that further stimulus is required in the interim.